Fierce Innovation Awards 2017 Recognizes PAVmed’s CarpX™ Device for Technology Innovation | Investor News from PAVmed Inc.
"using innovative technology solutions to better serve the industry and promote innovation." NEW YORK--(BUSINESS WIRE)--PAVmed Inc. (Nasdaq: PAVM, PAVMW), a highly differentiated, multiproduct medical device company, today announced that CarpX™, its minimally invasive device designed to treat carpal tunnel syndrome was recognized as one of four finalists in the Technology Innovation category of the 2017 Fierce Innovation Awards. CarpX is pictured above. Carpal tunnel syndrome is the most common cumulative trauma disorder, accounts for over half of all occupational injuries in the U.S. and results in over $20 billion in annual workers’ compensation costs. The carpal tunnel is an anatomic space in the wrist through which tendons and the median nerve pass. Cumulative trauma from repetitive motion (e.g., typing) leads to inflammation, scarring and compression of the nerve, resulting in a syndrome of debilitating symptoms in the hands. It is estimated to affect 2.5% of U.S. adults, with 600,000 undergoing invasive carpal tunnel surgery each year and many more choosing to defer surgery and suffer in silence. Traditional carpal tunnel surgery involves making incisions at the base on the hand through which the scarred ligament is cut to relieve compression of the nerve. Recovery times vary but can last many months. CarpX is designed to closely mimic the anatomic results of invasive carpal tunnel surgery, but to do so much less invasively, using catheters, balloons, radiofrequency energy and other established tools that have contributed to percutaneous and minimally invasive revolutions in the treatment of other conditions. The balloon catheter device is designed to be inserted under the scarred ligament in a minimally invasive fashion, while pushing the nerve and tendons away. When activated, bipolar radiofrequency electrodes precisely cut the ligament from the inside out in a matter of seconds. 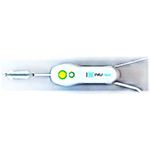 The device design provides physicians with ongoing feedback to optimize the safety and completeness of the procedure. The U.S. Food and Drug Administration recently accepted CarpX’s 510(k) premarket notification submission for substantive review. PAVmed expects to receive initial comments early in 2018 and is targeting clearance during the first half of 2018. 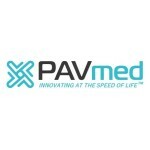 PAVmed Inc. is a highly differentiated, multiproduct medical device company employing a unique business model designed to advance products from concept to commercialization much more rapidly and with significantly less capital than the typical medical device company. This proprietary model enables PAVmed to pursue an expanding pipeline strategy with a view to enhancing and accelerating value creation. PAVmed’s diversified pipeline of products address unmet clinical needs, have attractive regulatory pathways and market opportunities and encompass a broad spectrum of clinical areas including carpal tunnel syndrome (CarpX™), interventional radiology (PortIO™ and NextCath™), pediatric ear infections (DisappEAR™) medical infusions (NextFlo™ and NextCath™), and tissue ablation and cardiovascular intervention (Caldus™). The Company intends to further expand its pipeline through engagements with clinician innovators and leading academic medical centers. For further information, please visit www.pavmed.com. This press release includes forward-looking statements that involve risks and uncertainties. Forward-looking statements are statements that are not historical facts. Such forward-looking statements, based upon the current beliefs and expectations of the Company’s management, are subject to risks and uncertainties, which could cause actual results to differ from the forward-looking statements. Risks and uncertainties that may cause such differences include, among other things, the uncertainties inherent in research and development, including the cost and time required advance our products to regulatory submission; whether regulatory authorities will be satisfied with the design of and results from our preclinical studies; whether and when our products are cleared by regulatory authorities; market acceptance of our products once cleared and commercialized; our ability to raise additional funding and other competitive developments. PAVmed has not yet received clearance from the FDA or other regulatory body to market any of its products. New risks and uncertainties may arise from time to time and are difficult to predict. All of these factors are difficult or impossible to predict accurately and many of them are beyond our control. For a further list and description of these and other important risks and uncertainties that may affect our future operations, see Part I, Item IA, “Risk Factors,” in our most recent Annual Report on Form 10-K filed with the Securities and Exchange Commission, as the same may be updated in Part II, Item 1A, “Risk Factors” in any Quarterly Reports on Form 10-Q filed by us after our most recent Annual Report. We disclaim any intention or obligation to publicly update or revise any forward-looking statement to reflect any change in our expectations or in events, conditions, or circumstances on which those expectations may be based, or that may affect the likelihood that actual results will differ from those contained in the forward-looking statements.